Eyvaz Jafarov also said that these exercises are very important from the viewpoint of increasing the combat readiness of Azerbaijan's Armed Forces, achieving coordination of operations as well as ensuring the security and stability in the region. 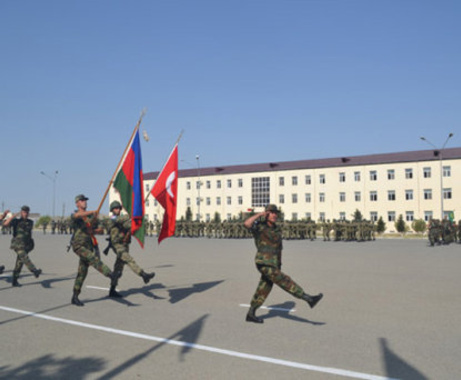 From now onward Azerbaijani-Turkish joint military exercises will be held each year in turns in Azerbaijan and Turkey. More than 20 Turkish defense industry companies have cooperation and commercial relations with Azerbaijan. "The establishment of the Cooperation Council of Turkic-speaking states was the initiative of Turkey and Azerbaijan," Davutoglu said. "The countries could expand the partnership in Central Asia, by creating a trilateral format of cooperation, for example, on the basis of Azerbaijan- Turkey-Kazakhstan and Azerbaijan-Turkey-Turkmenistan." Afghan Interior Minister Mujtaba Patan last week discussed strategic co-operation with Azerbaijani President Ilham Aliyev, Bakhtar News reported July 14. "Washington's obsession with isolating Iran led, for instance, to the Bill Clinton administration embracing the Taliban in the 1990s in the hope of building TAPI." "According to Pakistani Foreign Minister Niaz Naik, who was present at the meetings, US officials threatened the Taliban with military action if they failed to comply with the federalization plan. Even the date of threatened military action, October 2001, was proposed. Needless to say, the Taliban rejected the plan. So months before the 9/11 terrorist attacks, a war on Afghanistan was already on the table." "The construction of the gas pipeline, which will ensure the long-term supplies of Turkmen natural gas to South-East Asia in the near future is another action towards the implementation of Turkmenistan's energy strategy, focused on the creation of a multi-variant system of energy supplies to the world's biggest markets," Vatan newspaper quoted the Turkmen president. 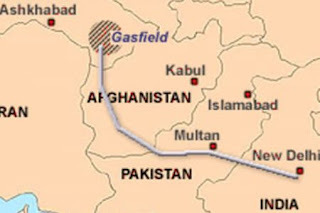 The national gas companies of Turkmenistan and Afghanistan signed an agreement for the sale of natural gas which will be supplied from Turkmenistan to Afghanistan through the Turkmenistan-Afghanistan-Pakistan-India (TAPI) pipeline, a press release from the Turkmen Foreign Ministry, released by the Embassy of the Turkmenistan in Azerbaijan said on Wednesday. "The problem is Washington has absolutely nothing to offer the Taliban. The Taliban, on the other hand, will keep their summer offensive schedule, knowing full well they will be free to do whatever they please after President Hamid Karzai slides into oblivion. As for the Washington notion that Islamabad will be able to keep the Afghan Taliban in check, even the goats in the Hindu Kush are laughing about it." Defense Ministry spokesman Gen. Zahir Azimi confirmed that Afghan security forces casualties have increased as compared to last year. Gen. Zahir Azimi further added that Taliban militants are prove that Afghan security forces are not capable of taking security responsibilities by increasing their insurgency activities. By the end of the day, scores were wounded and three killed. One of the Uzbek leaders, Haji Jamshed, also a member of the Takhar Provincial Council, claims that the government was behind the counter protest that helped spark the deadly violence, something the National Police strongly deny. More than 400 national police officers were mobilized around Takhar Province National Police headquarters in response to a weeklong rally by ethnic Uzbeks, frustrated by what they say is a lack of representation in both the national government and the province. The last straw, they say, was when an Uzbek police chief for the province was sacked and replaced by one of the Interior Minister's cronies. "NATO forces across the country are focusing their efforts and dissipating resources on the places where they can have the most impact," Young says. "Badakhshan is not one of those places. I fear that any terrain not classified as even moderately urban will take a lower priority and open the door to Taliban infiltration." “Representative of the CIS Anti-Terrorism Center recently noted at a conference in Kazakhstan that there are plans on creation of two new states in Central Asia – in Badakhshan and the Ferghana Valley,” Safarov noted. “Representatives of Russia have already stated that they will not tolerate implementation of those plans in our region,” the expert said. Border tensions between Kazakhstan and Kyrgyzstan, which generally enjoy good relations, are relatively rare – unlike among other countries in the region. Incidents occur quite frequently between Uzbekistan, Tajikistan, and Kyrgyzstan, particularly in the fraught and densely populated Fergana Valley, where the Soviet Union left a legacy of unclear borders. Authorities in Kyrgyzstan have sent additional security forces to the southern city of Uzgen after an incident involving police and members of the Uzbek community. On July 3, 2013, the United States Agency for International Development (USAID) announced the award of the four-year Quality Reading Project that builds on the U.S. Government’s longstanding commitment to education in the Kyrgyz Republic. USAID will continue to support the Kyrgyz Republic’s Education Development Strategy for 2012-2020 by working with 7,500 teachers in more than 1,000 schools throughout the country, reaching 60 percent of the Kyrgyz Republic’s primary grade student population (approximately 260,000 students). USAID’s Quality Reading Project will be implemented by a team of international and local non-governmental organizations led by the American Institutes for Research, a behavioral and social science research organization and Save the Children International, a worldwide non-profit organization working to improve the lives of children. One of the attending Gulen school owners owned and operated 18 schools for Gulen in Uzbekistan. The CIA operation disguised under ‘Teaching English’ at these 18 schools in Uzbekistan consisted of 70 CIA operatives, operating under a project named ‘Friendship Bridge’ (Operation Code Name). The operatives also submitted reports to a certain arm of the Pentagon. The CIA was apparently very concerned about education in Central Asia and the United States Agency for Development continues this struggle. 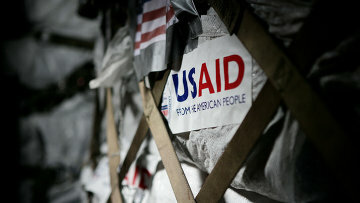 At the same time, USAID is also pursuing different projects in Uzbekistan and Turkmenistan. He pointed to an alarming trend of the recruitment of women by radical movements. The Osh police have lately exposed the recruitment of 18-year-old girls by radicals. In turn, the Osh regional police department told Interfax on Friday that 389 active members of radical religious organizations, most of them followers of the Hizb ut-Tahrir party outlawed in Kyrgyzstan, were in police records. All five suspended madrasahs are located in the northern province of Sughd on the Tajik side of the volatile Ferghana Valley. Many alleged Islamic extremists and members of banned Islamic groups have been detained in the area. On July 18, the Asht regional court ordered 27-year-old Adkham Abdulloev and 20-year-old Sodik Turobov, both Tajik nationals, to be imprisoned for 20 years and 15 years, respectively, after finding them guilty of being members of the Jundallah (Army of Allah) Islamic group. It was the first time anyone in Tajikistan has been jailed for membership in Jundallah, which is a Pakistani extremist group.